The Hidden Staircase Mystery Books has updated its list of new hardcover mysteries with books scheduled for publication in February 2010. Please note that some titles may publish early (and may already be available) and some may be delayed, published at a later date. Below we're listing those authors with returning series characters, new series characters, and non-series or stand-alone mysteries in separate sections. 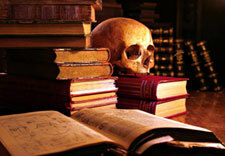 All titles are available on our February mystery books page. For more information on any of these titles, please visit the New Mysteries page on our website. If you're interested in new paperbacks, visit The Mystery Bookshelf where you can discover a library of new mysteries, also updated with February 2010 releases.